With the announcement of Frozen taking over the current Maelstrom attraction at Epcot the thoughts quickly go to what exactly will Disney do to bring Arendelle to Norway? As for what this attraction will be – there is a lot of speculation at this point, but no announcements from Disney. From what we hear there are three concepts under consideration, as you can imagine its budget based to see which one is selected. Cheapest – re-theme the current attraction system, maybe instead of trolls “Back Back over the falls” – we would be brought into the North Mountain area where Elsa does not want us and pushes us away over the falls. Middle of the Road – they could also update and expand the current boat attraction. There is a lot of land between Mexico and Norway in which to expand. This was originally marked to be another land, but could be used to support an expanded Norway. This area (pictured below) is currently home to many temporary cast member structures. Most expensive – how about a trackless dark ride, maybe something similar to the Mystic Manor at Hong Kong Disneyland where the attraction vehicle can stop and change direction at different moments in the ride. 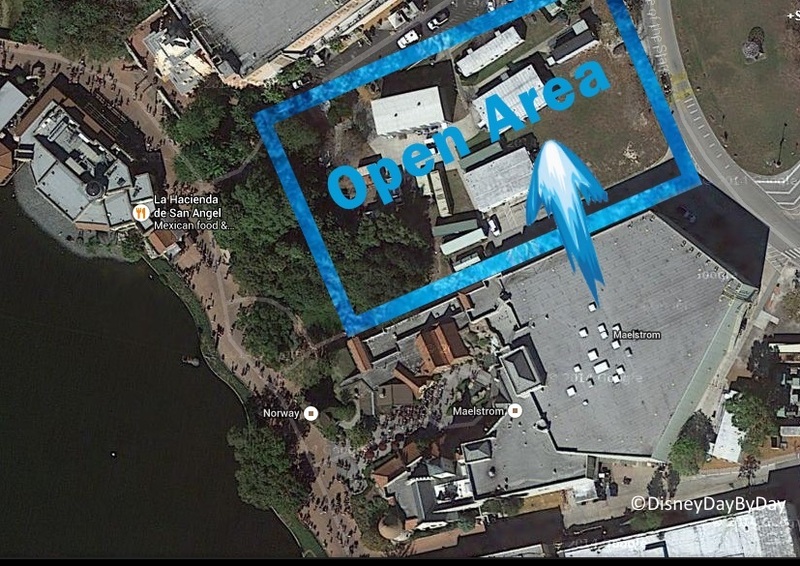 This option would require an expanded area as the current building could not support a large dark ride. Reading online you can definitely feel that many are upset to see one of our favorite classic Epcot attractions go away. I’m sure that this was well thought out by those at Disney and it is not a decision that any of us can change. So let’s look forward to the new attraction. What would you like to see? 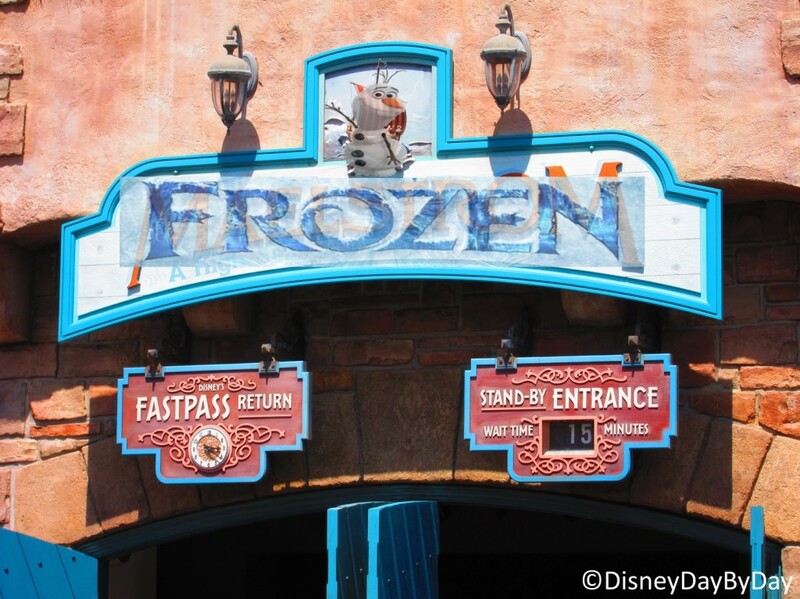 How would you incorporate Frozen into the current ride layout? Let us know in the comments below. 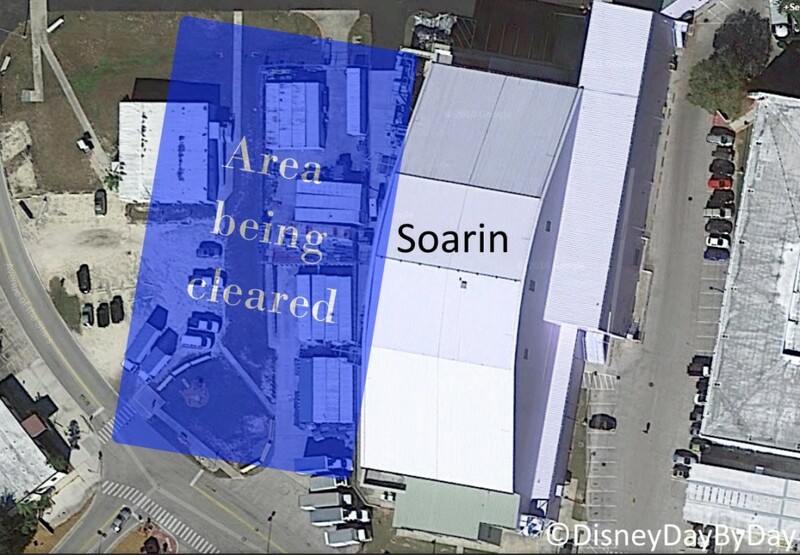 In other Epcot news / rumors – there has been a lot of activity in the area behind Soarin. This area similar to the open area between Mexico and Norway has been home to temporary cast member structures. In the last few weeks these structures have been moved off their foundations in preparation to move them out of the area. This area is rumored to be used to expand Soarin to have 1 or 2 more theaters. Though there has been no official announcement on this the area is large enough and seems easy enough to just add these on. Rumors say that the opening of the new theaters would coincide with the new film Soarin over the World which is set to debut in 2016. These theaters will definitely be needed with the excitement of the new film. Soarin over the World will find us traveling to England, France, Italy, Egypt, India, China, Japan, and for the U.S.A: the Grand Canyon and New York – all I can say is there better be oranges and pine trees involved. What is your favorite Soarin scene or smell today? Not surprised about a Soarin expansion – one of the best rides at Epcot! Favorite scene is the hot air balloons. Would love to see a Soarin’ expansion! I can never get enough of it! I’m firmly holding onto my optimism. If there is going to be a Frozen ride I hope they pull out all the stops and create a surprising, unexpected attraction. I’m with Lori! If they are going to create a Frozen Attraction I hope they take the time to do it right. I have faith in my Imagineers! I am enthusiastic for both of these possibilities; Soarin’ was never long enough for my tastes (or smells) and anything Frozen will do!